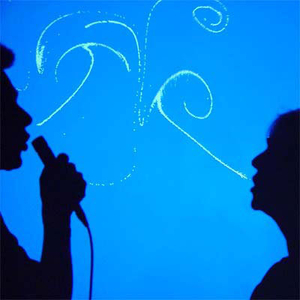 Over at Star Maker Machine this week, we are doing a week of duets. Most of these are songs by pairs who don’t usually sing together. But this put me in mind of some great songs by acts who consisted of two singers who worked as a unit, in other words, duos. Duets, at their best, display a spark of inspiration which can arise between musicians who have never worked together before. But duos display a deep familiarity, and an instinctual knowledge of how best to work together. So I wanted to share some of those here. My first selection is a classic from the 1960s. What is interesting about it is that the singers do not simply sing different parts; they actually sing different songs. Richard and Linda Thompson were a married couple when they recorded Wall of Death. It comes from what would be their last album together, Shoot Out the Lights. The close two-part harmony heard here is defining feature of their work together. Buddy and Julie Miller have recorded three albums together, (the latest is due out in March), but they have made far more music together than that. For years, they wrote songs for, sang on, and even helped produce each other’s albums. The River’s Gonna Run comes from the first album, (self-titled), which they released as a duo. Annabelle Chvostek may be best known for the time she spent with the Wailin’ Jennys. She recorded one album with them, Firecracker, as was on board for the following tour. Chvostek contributed four songs to Firecracker, including Devil’s Paintbrush Road. But Chvostek’s story started before her association with the Jennys, and now it continues as a solo artist once more. The first music Annabelle Chvostek composed was instrumental music for dance and film works. This experience gave her a great appreciation for both structure and texture, and both of these qualities are on display on her latest release, Resilience. The album includes one instrumental, Line of Ascent, which was written for a dance piece. But the songs on the album also have these qualities. Listen to the title track. Resilience opens with a rhythmic line played on the mandolin, and voice. The narrator is in a lonely place. As she begins to surface, to reach out, the bass joins the arrangement. Towards the end of the song, she breaks through and is ready to feel again, and finally the full band joins her. Throughout the album, Chvostek uses different combinations of instruments, and similar combinations in different ways. She has surrounded herself with a group of musicians who are mostly unfamiliar to me, but who are up to the task. And she has a fine voice, and mostly knows how to put it to the best use. I only have one quibble with her singing. In the song I Left My Brain, there comes a moment at the end of the song where she cuts loose, and shows what a powerful instrument her voice can be. She does not oversing, but she invests the moment with real emotion. I would have liked more of this. Some of her vocals seem a bit chilly to me on some of the other songs. Resilience includes one cover song, Racing With the Sun by Ella Jenkins. In this is one of those places where I would have liked more emotion in the vocal part. This version is too tasteful for my liking. And there is a co-write and duet with Bruce Cockburn, Driving Away. This is a true duet, representing a melding of both of their styles. And there is an interesting trick here: Chvostek and Cockburn sing together throughout the song, but she sings lead and he sings harmony on the verses, and they switch on the chorus without missing a beat. So the album displays impressive musicianship, and is nicely varied musically. What about the lyrics? Good question. I am puzzled by them. I have the lyric sheet that comes with the album, and Chvostek sings her words clearly in any case. But I’m not really sure what these songs are about. I felt like there were key words or phrases missing. This may be a problem that will be solved by repeated listenings, and there is enough good stuff here that I am willing to try that. 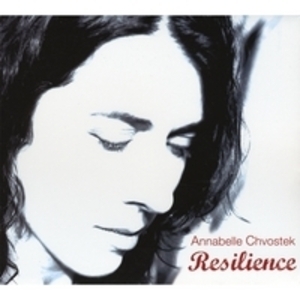 But, for now, I will say that Annabelle Chvostek has shown me enough that I will keep an ear out for her; I believe that she has the talent to produce a truly great album. I’m just not sure yet whether this is it. I am a white man, raised in a small town that only had one black family when I was growing up. So I don’t pretend to understand the black experience. But I do work in place where most of my coworkers are black men from an urban environment. So, if I I have a question, I ask. 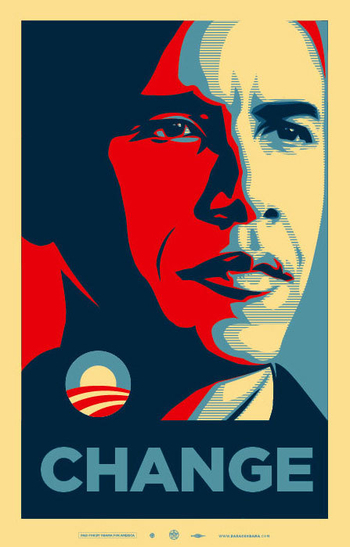 Back in the early fall, I noticed that my coworkers were expecting that something would go wrong, and Barack Obama would not be elected. Some could not accept the idea that enough whites would vote for a black man to put him in the White House, no matter what they told pollsters. Others felt that John McCain and the Republicans would resort to some kind of dirty trick, and steal the election. When Obama won, they became convinced that he would never live to take office; an angry white man would surely assassinate him. Of course, none of that happened, and Obama is now our president. But it almost seemed that the notion of a black man becoming the most powerful man in America scared them, like they were resisting believing in it. So asked my friends at work, given all of this, how did they feel? What had changed? And one answer surprised me. “Now, there are no excuses”. My friend explained that, before, they were used to thinking that there was a limit to how far they could go in life. The white man would always find a way to keep them down. But now, they could no longer lean on that. They had to learn to accept that the only limits would be self-imposed ones. This thought carries with it great responsibility. And for some, that is quite frightening. I told another friend about this conversation. He is an older man. What a momentous change! But he said that there will be those who simply refuse to get it, and will carry on as though nothing happened. I can see his point. but I think we both hope he is wrong. I don’t pretend that this is the last word on this subject. In fact, I hope this starts a conversation in the comments. Let your voice be heard. This is a music blog, so there has to be a song here somewhere. This was the most appropriate selection I could think of. I do not intend to turn Oliver di Place into a cover song blog. There are already many people doing a fine job of that, and some of them are friends of mine. But I would like to say a few words on the subject of covers, and present a couple of examples. One way to react to a cover song is to marvel at just how well the artist has duplicated the original song, down to every detail of the arrangement and production. I grant you that doing a cover this way does require and demonstrate a certain kind of skill. But, why not just get the original, if that’s what you’re after? So I prefer that an artist who covers another artist’s song should make the song their own. 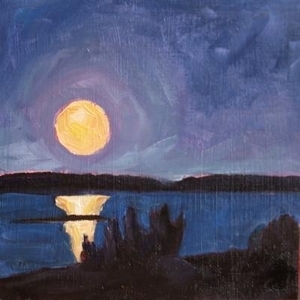 At the same time, a cover should reflect the qualities of the original song which inspired the cover in the first place. Or the cover should reveal qualities of the song that were hidden by the way the song was originally done. It’s a delicate balance, and it can be much harder to achieve than a slavish reproduction. Let me show you what I mean. The original version of Landslide was a hit credited to Fleetwood Mac, although it’s really Stevie Nicks flying solo. The arrangement is spare, basically just voice and guitar for the most part. But the Dixie Chicks recorded their version for their bluegrassy album. So they fill out the arrangement with fiddle and dobro parts, and they add harmony parts to the vocals. All of this could have overwhelmed the beautiful simplicity of the song, but, instead the extra parts only serve to heighten the emotion of the song. Neil Young delivers his Harvest Moon as a country shuffle, acoustic guitar, steel guitar, bass and drums, all functioning as a unit. He sings in a controlled falsetto. But Cassandra Wilson takes the song to another place. I’m not even sure of the instrumentation here. The instruments sound fractured, as if some hidden force is trying to pull the arrangement completely apart. And Wilson sings the song in a haunted alto. So Neil Young emphasizes that the love between his characters is still very much alive, while Cassandra Wilson’s treatment prompts the thought that the quality of that love has changed over the years, and her narrator wants to revive something that may have been lost. I have very mixed feelings about the “popular” music of the 1970s. On the one hand, here is a list of some of the my all time favorite albums, which I will probably have more to say about in future posts: Dixie Chicken by Little Feat, The Hissing of Summer Lawns by Joni Mitchell, Late for the Sky by Jackson Browne, The Royal Scam by Steely Dan, Working Man’s Dead by the Grateful Dead. All were released in the 70s. But, I would say, none of these represents the trends in popular music of the decade. All but the Steely Dan album occupied low chart positions if they charted at all. And Steely Dan never inspired many imitators, because their music was too complex. The music trends of the 70s, to my ear, involved taking something good and true, and turning it into mush. The Beatles experimented with distortion and other new guitar sounds, as did the blues-rockers of the 60s; in the 70s, this morphed into the excesses of hard rock and heavy metal. The great energy of funk became the robotic formula of disco. The fusion jazz that Miles Davis invented became formulaic, and edged out musicians playing other types of jazz from the spotlight. The early honesty of the singer-songwriters became cliche ridden, and honest feeling became overwhelmed by insipid productions involving cookie-cutter string parts. All of these things were symptoms of one thing: the emphasis in the music business went from music to business. People who had risen in the ranks of the major labels, driven by their love of the music, began to be edged out by people with business backgrounds but no particular interest in the music for its own sake. The labels themselves started to become part of larger corporations, and the bottom line began to take over. The most popular artists began to receive the most expensive productions, whether it served the music or not. At the end of the decade, there was a backlash which gave the world punk rock. This, and the rise of MTV in its original form, would loosen things up, and the 80s would be somewhat better. 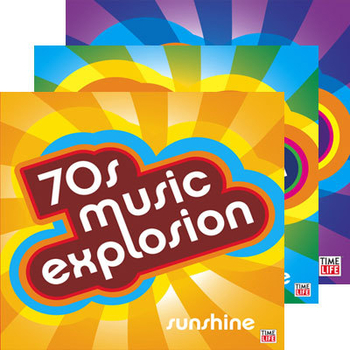 But, to my ear, a random selection of greatest hits of the 70s contains more bad music that any other decade. As I have gotten older though, I have come to realize something: not all of the bad music of the 70s consisted of bad songs. Sometimes, a cover version reveals that the song was never the problem at all; rather, it was something about the performance or the production. I am well aware that many people love Led Zeppelin. The very qualities that they so admire are the ones that send me to the exits. I find Robert Plant’s screaming vocals painful to listen to, especially knowing that he has a great voice when he chooses to sing with more subtlety. And the same goes for the scream of the guitars, again knowing that these musicians can do brilliant things when they choose to play with more subtlety. So nothing is more aggravating to me than Stairway to Heaven. The song begins with all of good qualities on full display. Then, we get to the bridge, and disaster strikes, and the screaming begins. But Stairway to Heaven is a great song. Dolly Parton, (of all people! ), finds all the qualities in the song that I always liked, and does not sabotage them as Led Zeppelin does. And she does this in a bluegrass treatment that really works. Ironically, Dolly Parton is one of those people whose 1970s output was much afflicted with many of the problems I discussed above. I am also aware Neil Young is an idol to many. And I can appreciate his talent as a writer. Furthermore, what I have heard of his 70s output is not marred by many of the qualities I discuss above. I just can’t stand his voice. If you’ve ever gotten a fax machine on the phone by mistake, and had your ears assaulted by that high pitched squeal, you have an idea how I feel about the falsetto that Neil Young used on songs such as Helpless early in his solo career. And even his natural voice, which I have heard more and more as he gets older, bothers me. k d lang is an artist who was demonstrated, with her song Summer Fling, that she has a weakness for some the worst excesses of 70s production. Indeed, her version of Helpless swells at the chorus, and the strings come in and almost ruin what is a nice subtle arrangement on the verses. But this is not the wall of strings that overwhelms everything in a 70s production; here, the listener can distinguish the individual string parts and the other instruments. And, of course, k d lang possesses one of the finest voices in popular music. 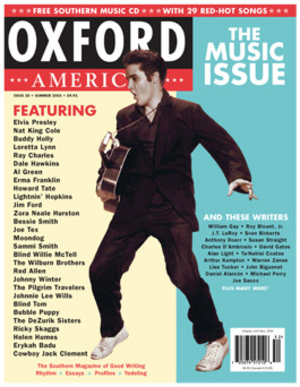 Every year, I look forward to getting my copy of the Oxford American’s music issue. The subtitle of the magazine is the Southern Magazine of Good Writing. I only buy the music issue, and it definitely features some of the best writing about music and musicians you can find anywhere. And there is always a sampler disc. I don’t whether the songs chosen for the sampler dictate the topics for the articles, or the other way around. But the sampler always seems to be a collection of obscure tracks. Some of the artists are well known, but the chosen track is not. And some of the artists represented have been all but forgotten. I have said before that sampler discs are a crapshoot. This one spans the years 1928 to 2008. Given 80 years of recorded music, the editors have rescued what they consider to be forgotten gems. But sometimes a song sounds better to a listener who feels that they are its rescuer. It becomes personal. That said, the Oxford American music samplers always contain a higher percentage of great music among the dross than any other samplers that I have heard. This year, that is especially true. The Oxford American celebrates the tenth edition of the music issue by putting out a two-disc sampler, instead of the usual single disc. I have chosen two of my favorite tracks. One is by Chuck Jackson, who I am sure I have heard of, bur definitely never heard until now. The other is by the York Brothers, who are completely new to me. Americans think of ourselves as the brash explorers who braved the wild frontier to build our nation. But our history is also sprinkled with times when the dominant emotion was fear. We pride ourselves on the freedom of expression, but when these moments of national fear occur, this is one of the first freedoms to be sacrificed. And musicians are often affected. On of these moments of national fear occurred following World War II. We emerged victorious from the war. We debuted the most powerful weapon on earth. And it seemed that the world must do our bidding. But this feeling of hubris was dashed in 1949. Suddenly, China fell to a communist revolution. And then, the Russians tested an atomic bomb of their own. How could this have happened? Americans wanted it to be somebody’s fault. And Senator Joseph McCarthy was there to fan the flames, and play on the fear of communism. The blacklist followed. In the years leading up to the war, however, things looked different. Still in the throes of the Great Depression, it seemed reasonable to Americans that capitalism had failed, and perhaps communism was a better way, or at least involved ideas that might help. So it is hardly surprising that musicians who grew to adulthood in these years would espouse communist ideas. Four of these musicians, Pete Seeger, Lee Hayes, Ronnie Gilbert, and Fred Hellerman, formed The Weavers in 1948. The songs of The Weavers were deliberately nonpolitical. Seeger and Hayes had been in The Almanac Singers prior to this, and that group’s political material had cost them much of their popularity. But in 1948, it was still acceptable for musicians to keep their politics to themselves, and The Weavers were a hit. This success would only last for four years. After 1949, the climate began to change, and by 1952, it longer mattered that The Weaver’s songs were apolitical. The members of the group were called to testify before the House Unamerican Activities Committee, and they refused to do so. Gigs disappeared, and The Weavers broke up. Separately, they continued to perform, but it would be hard going for many years afterwards, and none of them ever enjoyed the same level of popularity again. Like The Weavers, Paul Robeson had espoused left-wing political views in his younger days. He was also an activist, and a black man who stood up for his rights. But Robeson was not one to silence himself. Where The Weavers decided to avoid political material, Robeson decided to continue to speak out. 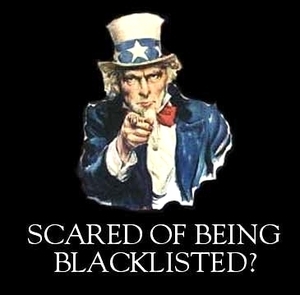 It meant that he was blacklisted earlier. Robeson appeared before the House Unamerican Activities Committee in 1950. He did not name names, but he did defend his own activities and beliefs. It cost him his career. His passport was revoked, so he could not even pursue a career overseas, as some did. One of the great American voices was silenced. Another episode of national fear began on September 11, 2001. What happened that day was truly terrible. But the nation’s reaction included some lashing out that had nothing to do with terrorism. The Dixie Chicks had been a hot act in country music, sending albums to the top of both the country and pop charts. Until Natalie Maines spoke up between songs, at a London concert three days before the Invasion of Iraq. “Just so you know, we’re ashamed that the President of the United States is from Texas”, she said. Suddenly, the Dixie Chicks found that their music could no longer be played on country radio. There were protests where their albums were destroyed. And, of course, sales of their albums dried up. So now, they have to try to make it as an alternative act, cultivating an entirely new audience. Their first album in this vein sold over a million copies, but that was quite a comedown for them. The jury is still out.